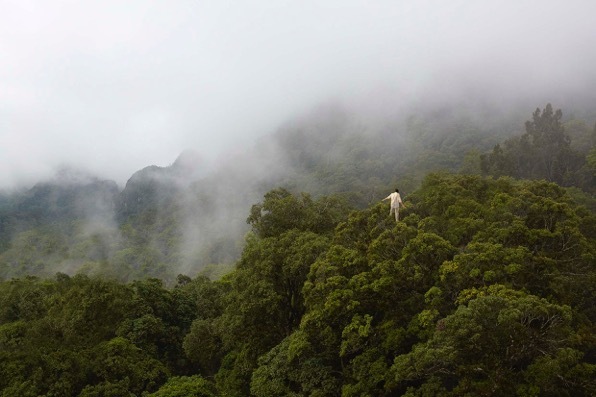 The rainforests tree tops remind him of cauliflower, says Christoph Both-Asmus from Berlin, Germany. To once walk across those hanging gardens and to enjoy the new perspective, is what Christoph has been dreaming about for a long time. Since six years he does everything to accomplish his artistic mission of „the balancing act between earth and heaven“. He studied treeclimbing techniques and talked to botanists. 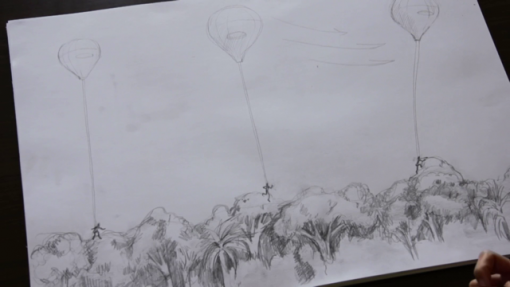 To be able to move forward, he is going to take advantage of the Canopy Bubble, developed by the inventor and aeronautical engineer Dany Cleyet-Marrel. This helium filled balloon holds the load of one person including equipment, is 27’3“ in diameter with a volume of 7416 cubic foot and is reminiscent of a shallot. Suits the cauliflower just fine. The distance which Christoph wants to cover atop the trees, for him means the wander on a border. The path from the ground over the rainforests giants hanging gardens up to the highest branches, for him symbolizes the cycle of birth and death and the transformation into new life. With this project he doesn’t only fulfill a personal dream. Christophs project also refers to the extinction of rainforests. He particularly wants to sensitize the inhabitants of Gabon to the fact that the rainforest is a treasure which has to be protected. The artist also supports a local educational center. To make the project visible, an artistic film will emerge from it, which documents his expedition. The Tree Walk was meant to be realized in May `15 in Gabon. Why Gabon? Because wind is very rare there and is an essential element for survival. But the plan was delayed. The sudden death of opposition leader André Mba Obame resulted in a series of heavy riots and ongoing turmoils. Until the situation is settled it is a case of wait and see. There is no plan B at present. Christoph doesn’t waste any thought on giving up. On the contrary. The time is used: the screenplay gets expanded constantly. An exhibition is being conceived which is also going to show Christophs earlier works and performances. 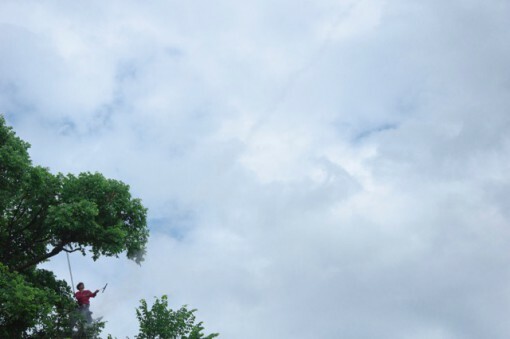 A series of interviews is produced, in which „The Tree Walker” connects with the possibilities, problems and perceptions in the here and now. In this sense, „The Tree Walker“ is looking for input and exchange, but also for coworkers, supporters and sponsors. 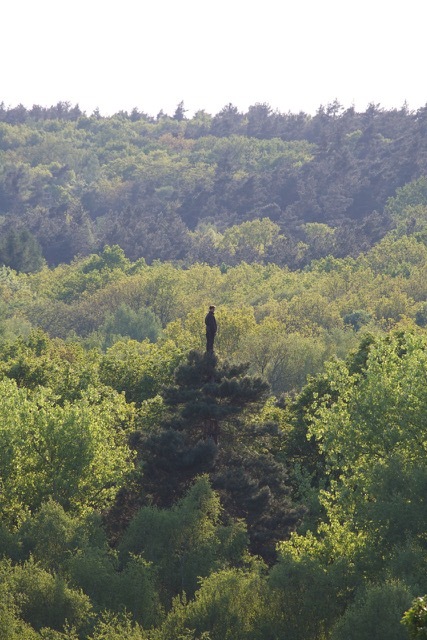 Those who would like to see the current exhibition of the Tree Walker-project and Christophs new installation „ A moment in time“, has the opportunity to do so at the Center of Polish Sculpture in Oronsko until October 25th, 2015. Watch the german teaser, supported by Jack Daniels and filmed by Vice in Gabon, here.